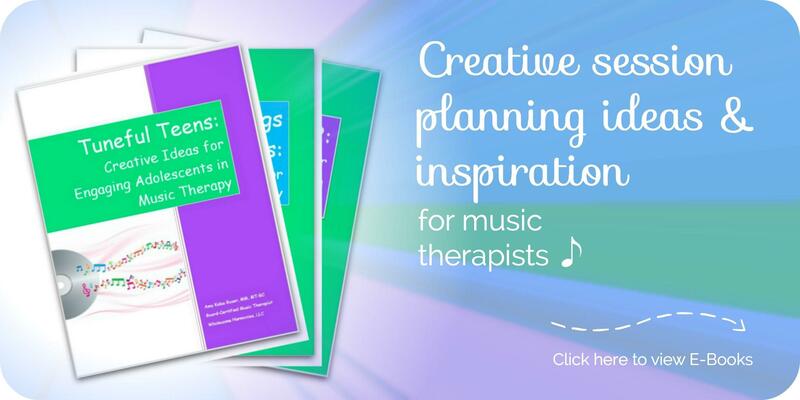 As music therapists, we are constantly advocating for our profession throughout the year. Now there is a dedicated month for Music Therapy Advocacy – January! Last year, I wrote my first blog on music therapy advocacy and am excited to start working on my blog post for this year. Ben Folds has created #FollowMTWeek on Twitter – how cool is that? Make sure you tweet him up using that hashtag and show him some love. My Twitter feed is already exploding with this hashtag! 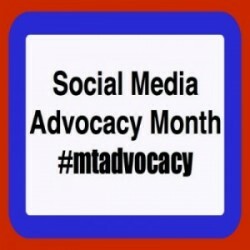 Thank you for your willingness to participate in this year’s joint AMTA/CBMT Social Media Advocacy project! We hope that this project will be mutually beneficial–not only are you helping to spread the word about music therapy advocacy, but we hope this project will generate more traffic to your blog. The information below outlines details for this project. Please review and let me know if you have any questions (ksmoore@cbmt.org). Project Theme As indicated in the original email, the theme of this year’s social media advocacy project is based on the idea of connection, especially connecting with music therapy stories as told through different voices (e.g. music therapists, clients, family members, colleagues, etc.). Therefore we invite, even challenge you to collect client stories throughout the month of January. These can be through guest blog posts, blog comments, Twitter updates, Facebook comments, etc. Invite your audience to share their stories with you through whatever medium works best for you. When you are collecting stories, please ask for the state in which the story occurred (no other identifying information is needed). Writing the articles Just like last year, the primary content is completely up to you, your writing style, and your audience. Judy, Dena, and I are working on some “talking points” to help inspire and/or organize your post next month. We will also include a “summary blurb” that we are hoping you will include somewhere in your blog article (i.e., at the beginning or the end). Don’t worry! It’s short–only a paragraph. We will send you that file within the first couple days of 2013, so stay tuned. Timing your post You are welcome to publish one article or podcast episode in January or multiple ones, whatever works best with your editorial calendar and audience. In addition to using the #mtadvocacy Twitter hashtag from last year, we are creating a second one just for this project: #lovemusictherapy. We invite you to use these hashtags if you promote on Facebook and/or Twitter. Finally, it would help spread the word–and promote your fellow music therapy bloggers–if you would consider sharing this project and these articles with your friends, fans, and followers next month. When you have published your article or podcast episode, please send me the title and url. I will likely try to use pics on the promotion website. If you were involved in the project last year and want a DIFFERENT pic than what was used on this page (http://www.musictherapymaven.com/social-media-advocacy-month-2012/), please email me an alternative picture. If this is your first year being involved in this project, please email me a picture you would like used in the promotional materials. Although I will send reminders throughout the month, I will be asking you to forward to me (1) your favorite client stories, (2) the state in which the stories occurred, and (3) the total number of client stories you collected. I am so excited to see how social media has helped unite music therapists who are passionate about their work. Let’s see what we can do to advocate for music therapy this month and throughout the year! Great start to Music Therapy Week!! Way to go Wholesome Harmonies! & Ben Folds!!! 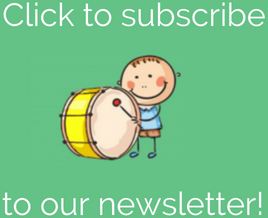 We would love to connect with music therapists world-wide. We support music therapy in Canada, and would love to work with you. Keep us posted and let us know how we can help with #FollowMTWeek. Thanks for writing! I will look for you on Twitter.